Gargi Roysircar received her doctorate in educational psychology with emphasis in counseling psychology at Texas Tech University. She is the Founding Director of the Antioch Multicultural Center for Research and Practice at Antioch University New England and Professor of Clinical Psychology. She conducts research on disaster outreach in international settings, the effects of acculturation and enculturation on immigrant mental health, multicultural competencies in practice and assessment, and training graduate students in culturally informed practice. 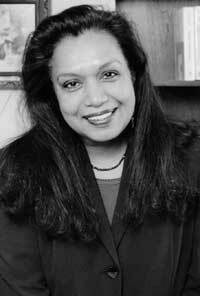 She has authored over 100 journal articles and chapters on these topics, with her most recent publications in Traumatology, Counselling Psychology Quarterly, Professional Psychology: Research and Practice, The Journal of Black Psychology, Journal of Muslim Mental Health, Journal of Career Development, and The Oxford Handbook of Social Class in Counseling. Dr. Roysircar has participated in mental health counseling in earthquake-destroyed Haiti, tsunami-affected fishing communities in Southern India; Hurricanes Katrina and Rita-affected communities and first responders in the United States Gulf Coast; and in Southern African orphanages that serve HIV/AIDS-infected and affected children and women. She has provided psychoeducation in flood-ravaged Villahermosa, Tabasco, Mexico. Dr. Roysircar trains her counseling teams in disaster trauma, culture-centered skills specific to a community disaster, and in clinician self-care and resilience. She is a grantee of the American Psychological Foundation for her research on her disaster mental health assessment and services. In 2001, Dr. Roysircar was elected as the first Asian President of the Association for Multicultural Counseling and Development, and was appointed as the first Asian editor of the Journal of Multicultural Counseling and Development from 2004-2011. Her awards include the 2002 Extended Research Award of the American Counseling Association (ACA) as well as ACA’s 2007 Research Award. Her co-authored books are “Multicultural Assessment in Counseling and Clinical Psychology,” “Handbook of Social Justice in Counseling Psychology,”\ and the Spanish translation of “Multicultural Counseling Competencies (2003),” having previously co-authored this book in English. Her instrument, the Multicultural Counseling Inventory (MCI), is the most frequently cited instrument among published self-report multicultural competency scales. Her article (Sodowsky et al., 1998), which uses the MCI instrument, was ranked over the past decades among 25 most cited articles of the Journal of Counseling Psychology. Dr. Roysircar is ranked in productivity ratings of authors in 5 multicultural psychology journals. She is a Fellow of the American Psychological (APA) and served on the APA Taskforce for Re-envisioning the Multicultural Guidelines for the 21 Century, adopted by APA in August 2017 and entitled as, Multicultural guidelines: An ecological approach to context, identity, and intersectionality. Dr. Roysircar was the recipient of the 2017 Division 35 Psychology of Women Strickland Daniel Mentoring Award. Dr. Roysircar’s 44-year teaching career has been spent in three countries across three continents.